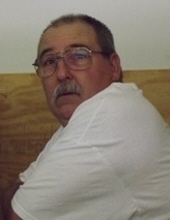 Robert D. Payne, 64 of Montrose, Missouri passed away January 1, 2019 at his home. Funeral services will be 2:00 PM Monday, January 7, 2019 at the Mullinax Funeral Home (660-679-0009) in Butler with Pastor Len Redding officiating. Visitation will be prior to services from 1-2 PM at the funeral home. Burial will follow services in Radford Cemetery, Spruce, Missouri. Contributions are suggested to the family, and messages of condolence for the family may be left at www.mullinaxfuneralhome.com. Robert is survived by his wife of 22 years, Arlene Payne; his son Michael and wife Samantha Payne; 5 grandchildren: Lucas, Adalayde, Brodey J, Emily and Forrest. Robert was preceded in death by his brother Harvey, father Robert E. and mother Maxine Payne. Robert enjoyed fishing, car restoration, carpentry, hunting and family time. Robert lived and worked in California at an aviation manufacturing plant. He moved back to Missouri where he was employed as a cattle ranch boss at BRE Ranch. He also worked as a mobile home installer, and finally as a contract driver for the U.S. Postal Service. Upon retirement Robert enjoyed spending time on his family farm. To send flowers or a remembrance gift to the family of Robert D. Payne, please visit our Tribute Store. "Email Address" would like to share the life celebration of Robert D. Payne. Click on the "link" to go to share a favorite memory or leave a condolence message for the family.